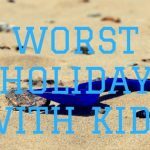 Today, I have the pleasure of welcoming Sam from Travelling With Our Kids to the blog to tell us about their best and worst holidays. Over to you, Sam. We have had many great family holidays since our boys were born, but if I had to choose one, then our recent cycling holiday along the River Danube would be my choice. Flying into Vienna, we spent one night in Vienna before catching the train to Passau. We then spent our afternoon collecting our rental bikes and looking around Passau. The next day we set off from Passau along cycle paths and quiet roads back towards Vienna. We cycled for 7 days to get to Vienna with the maximum distance being about 25 miles. Each day had different things to see and do, which meant we could take our time and stop when needed. Some days we cycled in 30 degree heat which was rather hot. Other days we had rain, but the weather didn’t stop us enjoying the holiday. Places we visited included Melk Abbey, Linz Old Town, and Krems. During the day, if we wanted to cross to the other side of the river, we could either cross by bridge or catch one of the ferry boats. Our boys loved these boats and they varied in size from fitting maybe 20 people to big car boats. Our youngest son was in a bike trailer which I pulled along behind me, while my husband had our eldest son on a tag-along. Personally, I think my husband pulled the easy straw, but he wouldn’t agree! Ha! 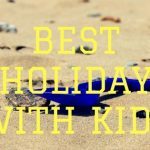 Our cycling holiday really gave us a different experience to a family holiday. Seeing the country from a bike was really fun. Both our boys loved getting up each morning and heading off on the rental bikes. We made up silly games to keep them entertained, stopped along the way to go to the park. As we had a bike trailer for our youngest son, it meant he could still have his afternoon nap. The cycle path also made it family friendly as you knew the boys were safe. We can’t wait to go on another cycling holiday in the future. Hopefully our youngest can go on a tag-along next time and do some cycling for himself! Our worst family holiday was probably our first family holiday together. Not so much for it being rubbish but because our lives had been turned upside down not long before. Roughly 4 weeks before we were meant to go on our first holiday, my older brother suddenly passed away from a stroke. In the weeks leading up to the holiday we had to plan his funeral and make changes to our holiday (my older brother and younger brother were meant to fly to America, so all this had to be cancelled etc). I was also suffering from PND which wasn’t helped with the sudden loss of my brother. We had decided not to cancel our holiday, as we thought it would be good to escape for a while and try and begin to make sense of what had happened. Both sets of parents and also my younger brother were also with us. Each day was a major struggle emotion wise, and trying to enjoy the sights was rather tough. About half way through the holiday our eldest son, who was 16 weeks old at the time, became ill. The hotel we were staying in phoned a local doctor who spoke no English to come see us. He gave us a prescription and told us the name of the town that had a 24-hour pharmacy. So, while I looked after a screaming baby, my husband and father drove to the pharmacy to collect the medicine. We didn’t really know what it was going to do but put our trust in the doctor. Roughly 20 mins after giving our eldest his medicine his screaming stopped, and he eventually fell asleep. By the morning he was back to his usual self! Overall, we all really enjoyed the holiday and would love to go back and explore again. It was just the circumstances around the holiday that made it for us the worst holiday we have been on. Thanks to Sam for sharing her best and worst holidays. I had never considered a family cycling holiday but it sounds like fun. I am sorry to hear about the passing of your older brother. You can read all about their cycling trip along the Danube on her blog, as well as their road trip in Austria and Germany. Sam is a family travel blogger, based in Scotland. They love getting out and exploring new places whether it be at home or abroad. From cycling to hiking, they like to see places from a different viewpoint as they go. 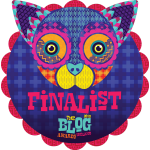 Please check out Sam’s blog, Travelling with Our Kids. You can also find Sam on Twitter, Instagram, Pinterest and YouTube. Wow cycling along the Danube – that looks and sounds so idyllic not surprised that was the fave pick what an incredible experience! I know. I would never have thought a cycling holiday could be so much fun! I’d never considered a cycling holiday withs kids before. I love Austria so might look in to this . I’m really enjoying this series Catherine. How devastating for Sam with her brother dying and must have been so frightening with the baby getting ill. Love the sound of the cycling holiday though – my husband would love something like this. Thank you, I’m glad. Yes, the cycling holiday was a surprise for me and something I hadn’t considered before. A cycling holiday sounds really fun actually. Cycling in the heat can be a bit hard, but it’s still a lovely feeling. I’m so sorry to hear about the loss of your brother, it’s unsurprising that was a bad holiday for you. I’ve never thought I’d a cycling holiday. Great idea. The worst holiday sounds devastating. How upsetting and scary. What an interesting post. I like the sound of the cycling holiday. It sounds like good fun. I would love to go on a cycling holiday, it seems like such a relaxing way to see a new place. A friend recently went on a cycling holiday through the Netherlands and raved about it – we might have to give it a try! i like the idea of bike trails,but i always feel like i have week legs and living in the city. i would have to travel out to go find one which puts me off. 🙁 one day i’ll have to just go. It was my pleasure to host your best/worst holidays.